A new version of the "Great Game" is being played out around the Caspian Sea with Azerbaijan and Armenia as proxies for US, European, Russian and Iranian policy, fuelling a military build-up that goes well beyond what one would expect for a resumption of hostilities over Nagorno-Karabakh. On 19 July, “presidential elections” were held in the territory of Nagorno Karabakh, the Armenian region wrested from Azerbaijan 20 years ago at the end of a bloody war which finished in a precarious ceasefire. Around 100,000 electors were called to vote in the elections which saw Bako Sahakian, the incumbent president, reconfirmed. Suspicions that the electoral results had been manipulated provoked major protests nationwide. Just prior to the election , the polls had confirmed that the runaway favourite was in fact General Vitaly Balasanian, a popular war hero who, it turned out, received less than half the number of votes obtained by Sahakian, earning the electoral result international condemnation as well. Nagorno Karabakh is not recognised as an independent state by any country (except of course Armenia), so world governments, including even those most supportive of the Armenian cause (Russia and France for example), were forced to call the elections “illegal”, much to the satisfaction of the Azeris, whose regime took the opportunity to put forward its own point of view. This electoral drama has been played out against a background of increasingly worrying levels of tension and violence in the two states, while peace negotiations appear to have arrived at a complete deadlock. International diplomacy seems resigned to the idea of “freezing” its efforts to reach any kind of settlement but also equally resigned to the fact that the two protagonists of this dispute are set to become involved in other, much larger conflicts. On the very day of the elections, an Azeri officer was killed by an Armenian sniper (so the Azeri government claimed). Since the beginning of June, around 20 soldiers from both sides have been killed in skirmishes or by snipers. The ceasefire line between Armenia and Azerbaijan (one of the many “frozen” conflicts inherited by the XXI century as a result of the break-up of the Soviet Union – and perhaps one of the most dangerous) is slowly hotting up. Although the ceasefire has held for 18 years, there have still been plenty of minor clashes, skirmishes and fire-fights. However these latest skirmishes are the most serious since 2008, and what is worse, they have taken place during a very delicate period of transition. Azerbaijan appears to be becoming increasingly involved in the international manoeuvring over the developing conflict between Iran and the USA and Israel, relating to Tehran’s presumed nuclear ambitions. There are numerous clues to Azerbaijan’s involvement. 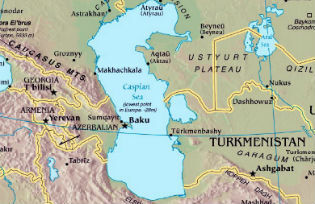 This spring, US media sources reported that Israel had obtained from the government in Baku the exclusive use of an air base on Azeri territory, not far from the border with Iran. The news was later denied, but with little conviction, by Azerbaijan and Israel – but it was not denied by the Obama administration which had probably leaked the news to the press in the first place. In the previous weeks, the Azeri government had announced, to international outrage, the uncovering of a “terrorist plot”, apparently inspired by Iran, to assassinate some important US citizens in Baku. Even though no evidence of this plot has been brought to light (apart from the announcement of the arrest o f 22 members of the presumed terror network), the event was made great use of by the more bellicose elements of the US Congress to acclimatise public opinion still further regarding the need for an attack on Iran. Naturally the regime of the Ayatollahs was alarmed at these developments. 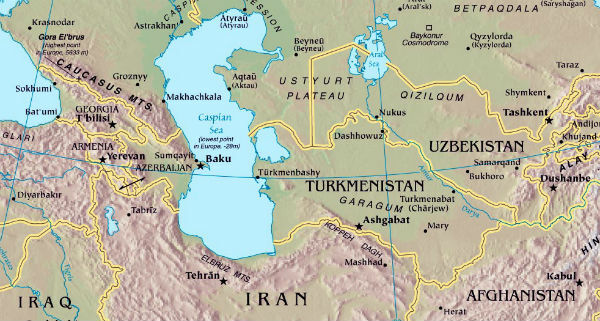 The idea of its northern neighbour taking part, either actively or passively, in a possible attack from the United States and Israel, is being taken seriously by Tehran, which has always been somewhat diffident towards the government in Baku who they suspect of secretly fuelling the separatist aspirations of the large Azeri minority living in northern Iran. The majority of Azeris (18 million of them) actually live in Iran as opposed to the 8.5 million who live in post-Soviet Azerbaijan. These two Azeri populations have in fact lived apart for centuries, to the extent that linguistic differences have developed between them. Even though the government of Baku has repeatedly denied any malevolent intentions towards Tehran, the country’s openness towards the US and Israel is still evident and equally evident is that in exchange for their amenability, the Azeri regime is aiming to obtain some assistance in its conflict with Armenia, which is still Baku’s Enemy Number One. Although the ceasefire was declared 18 years ago, the desire for revenge on the Armenians (who roundly defeated the Azeris during the war of 1991-94, taking a fifth of their territory from them, and creating about a million refugees) still plays a very important part in defining an otherwise rather fragile national identity. Ilham Aliyev – who inherited the presidency and absolute power from his father Heydar in 2003 – has no intention of giving up the fight. Armenia on the other hand has been able to count on the support of two heavyweights: Russia (who guarantees the country’s defence through a treaty) and Iran itself. The majority of Armenia’s foreign trade passes through Iran, which also provides it with vital supplies of oil and gas. Armenia is heavily dependent on these supplies, having no other source of energy, apart from the Metsamor nuclear reactor which was hit by an earthquake and is being dismantled and a modest hydro-electric potential which can only be made use of causing significant environmental damage to Lake Van, the country’s main tourist attraction. Over the last ten years, Azeri foreign policy has concentrated primarily on emerging from its international isolation – in reality Turkey is its only supporter – and on the search for a regional role that would justify its massive re-armament programme. And indeed that is what has happened. Despite the fact that international law – and, in theory, human logic – forbid the sale of arms to countries at war (Azerbaijan is clearly just that), the United States and Israel (as well as some European countries) have authorised enormous arms purchases by Azerbaijan, officially to help guarantee its security and its growing role as “Western agent” in the massive Energy “Great Game” being played out round the Caspian Sea. Over the last five years Azerbaijan has invested $US11 billion in arms with $US1.6 billion worth of arms coming from Israel alone last year. Azerbaijan is not only buying traditional weapons but also sophisticated technology such as advanced radar systems, short-range missiles and drones –massively used to deadly effect by the Israelis in Palestine. Clearly Baku’s weapons purchases are destined for the conflict against Armenia – the Azeri President no longer tries to hide his growing inclination to use force to overturn the result of the war of 1992-94 – but the amount and type of weaponry being purchased go well beyond the requirements of a small local conflict. The naval military build-up around the Caspian involves all three former Soviet states bordering the petrol-rich sea plus Russia and Iran (both good friends to Armenia as we have seen) creating heightened tensions and an unprecedented militarization of the Caspian Sea region. Today, Azerbaijan produces a significant amount of oil and gas extracted from the rich off-shore deposits in the Caspian Sea, which is carried to the Mediterranean and European consumers by the pipelines that cross Georgia and Turkey. New pipelines from ex-Soviet Central Asia are also being planned which will arrive in Baku, from Turkmenistan, Uzbekistan and Kazakhstan – countries which are keen to reroute their hydrocarbon exports away from the Russian network of oil and gas pipelines. These planned pipelines are part of the US and European-sponsored Nabucco Project. The project has not yet been abandoned despite encountering serious difficulties – not least of which the fact that these exporting Central Asian countries are all signing lucrative export agreements with China, which would send their oil and gas eastwards rather than westwards to Europe. It is no wonder that many are keen to guarantee Ilham Aliyev all the arms he wants, despite his dreadful record on human rights (Hillary Clinton could not restrain herself from taking a swipe at her host on the subject during her visit to Baku in June) and despite the efforts of the Armenian Diaspora which has an influential political lobby in many important countries, above all the US and France. They are still trying, with varying levels of success, to push back this support for Azerbaijan in the political sphere.